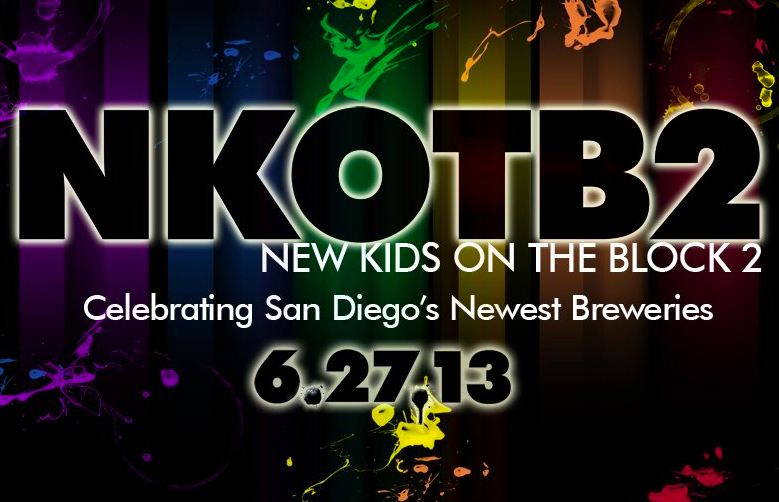 From the organizers behind the Mission Valley Craft Beer & Food Festival, don't miss the New Kids on the Block 2 craft beer showcase at the Handlery Hotel in Mission Valley on Thursday, June 27th from 5-9pm. In its second year, San Diego’s newest brewers will join forces for a night of spotlighting the exciting new beers coming to market. Admission gains you unlimited tastings of beer and food from numerous stations, as well as live musical entertainment to assure a fun summer night. Always a fun time at Handlery events! Handlery Hotel knows that great beer goes best with delicious food, so Nate Soroko of Toronado and Misty Birchall of PubCakes are on board to help organizer Chef Karl Prohaska of Handlery Hotel get all participants fed. Chef Karl takes pride in providing top notch nourishments at his parties, and hey, more of Chef's many chef friends may be dropping in to offer up additional eats. For this event, unlike the multitude of beer festivals in San Diego, all brewery participants must be less than 2 years old. Brewers lined up so far include Benchmark, Wet 'N Reckless, Latitude 33, Societe, Acoustic Ales, Helm's, Ironfire, Modern Times, Butcher's, Stumblefoot Brewing, Saint Archer, Thorn Street Brewing, Rip Current Brewing, and ChuckAlek Independent Brewers, with more added daily. There are 15-30 breweries expected to participate in this event. Tickets are $30, including food and drink, and can be purchased online This event is limited to 300 attendees and benefits Wounded Warrior Homes, a non-profit that assists veterans with housing needs. Stay tuned for more events from the fine fellows at Handlery Hotel, including the Heavenly Hog Fall Pig Out on October 11th. Featuring 8 of San Diego's top chefs (Hanis Cavin, Anthony Sinsay, Rich Sweeney, Tommy Fraiolli, Matt Richman, Karl Prohaska, Olivier Bioteau, and Kyle Bergman), this 8 course pairing dinner will have each chef randomly draw a part from a whole pig to use to construct an elaborate dish paired with any beverage they wish (not just beer but with wine or whatever liquor the participating chefs choose). Check back with SDV, and we'll have the full details when available. The Handlery Hotel is located at 950 Hotel Circle North in Mission Valley. 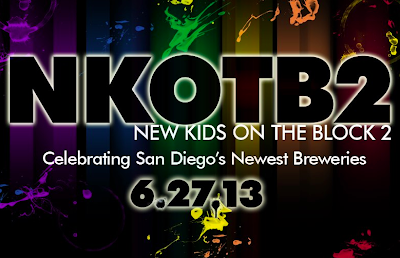 For more information on NKOTB2, follow the Facebook events page.